What’s that? You thought you were only getting ONE Flash Top Ten Review just because it’s been, like, seven weeks since the set released?! Think again! Better yet, THINK FAST, cuz a second opinion is coming right at ya’… RIGHT NOW!! –These sculpts are beautiful! In particular, Black Lantern Prime Zoom, Abra Kadabra, Kingdom Come Flash, Reverse-Flash, Mirror Master, Dark Flash and Captain Cold are some of the best looking sculpts and paint jobs they’ve put together in some time! –Overall, the Power Level of this set is a slight notch below Guardians, but it’s pretty close. There’s a lot of great Supporting Pieces and Secondary Attackers in here; Meta-worthy Primary Attackers are few and far between here (see the end of this list for details on exactly who does make the cut!). –This set was a lot of fun to play in Sealed formats. It almost seems like Sealed balance was a priority with this set more so than with the last 3 three main sets (SL0SH, Deadpool and GotG; not counting WoL as that set was theoretically designed primarily FOR Sealed) combined. Not really a criticism of those other sets; just an observation. That said, while Sealed play doesn’t necessarily matter in these evaluations, I will occasionally touch on that aspect if I think a figure happens to be extremely good in that format. –The designers did a great job with figure selection on this set. The Sub-Themes (particularly the Rogues and Authority) are EXTREMELY well developed–much more so than in previous sets. You want to put together an Authority team? You have 11 different dials spread among 9 different characters for you to choose from. And if you’re a Rogues fan? Make that 27 different dials among 22 different characters–and that’s not counting the other six versions of the Rogues you get in the Fast Forces Pack (not technically part of the set if you go strictly by numbering, but still!)!! 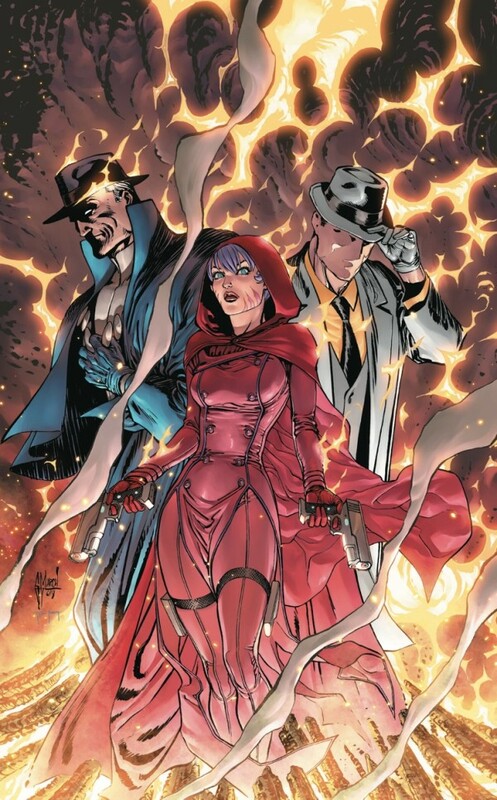 Only the Suicide Squad really didn’t get much to play with here (outside of Amanda Waller, who can induct folks into the Suicide Squad, which, as Ninwashui explained previously, is fairly useless, since there’s only, like, two or three playable Moderan Age Suicide Squad-ers). Now, compare that with a set like Deadpool, which had a decent representation of Thunderbolts and Heroes for Hire, but really fell down with Sub-Themes like the Secret Empire (um, 3 characters doesn’t really make what I’d call an “Empire.”) or U.L.T.I.M.A.T.U.M. (again, most hate groups have more than three dudes in their membership…). Not every keyword needs to be able to produce a Meta-worthy team, but there should be enough members to at least make a single 300 Point Build!! 5. FL021 Pied Piper — Uncommon — 76 Points: This guy really took me by surprise. I pulled him in Sealed and he absolutely wrecked house. His top dial Pulse Wave Special is just awesome (HYPNOTIC TONES: Pied Piper can use Pulse Wave. When he does, hit characters modify their damage values by -1 [minimum 1] until your next turn and he can immediately use Mind Control as a free action to make a close combat attack with an area of effect that includes any hit opposing characters. ), and the fact that he has Improved Movement (Ignores Hindering AND Elevated) is the cherry on top. Even if you NEVER get to use the Mind Control part, just the fact that you have a 76 Point Secondary Attacker running off rooftops and Pulse Waving is something that’ll bring a smile to your face every time. He also offers a bit of support with top dial Enhancement before he totally switches gears to Mind Control, Willpower and Poison late dial. He just has the Rogues keyword, but if you’re only going to have one keyword in this set, that’s a good one to have. Finally, he has the Calculator team ability, which I was using to copy Mystics (from Abra Kadabra) during my Sealed games. PP very nearly cracked my Top 10, but if you’re playing Rogues, he’s practically a must play for me. Having a Secondary Attacker that costs under 100 Points who can also ignore all game effects (via Pulse Wave) is almost unheard of. 4. FL051 Elongated Man — Super Rare — 81 Points: If you can get him safely to his second click, he is a tie-up monster. 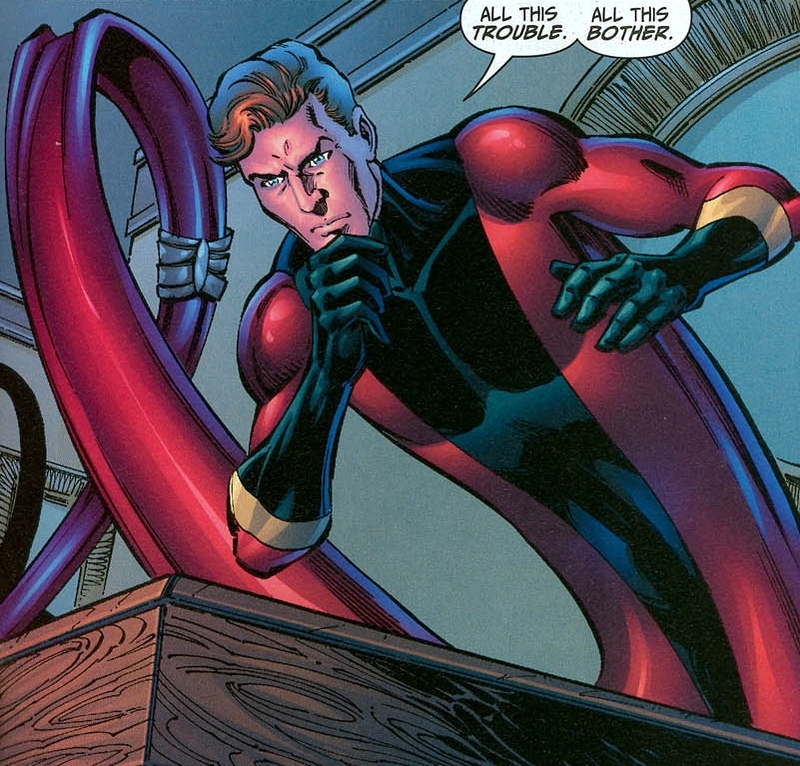 A crazily effective improved Plasticity Trait (GINGOLD SODA: Elongated Man can use Plasticity. Opposing characters within 2 squares and line of fire treat Elongated Man as adjacent for movement purposes. ), Stealth and one of the best Outwits in the Modern Age game (MY NOSE IS TWITCHING: Elongated Man can use Outwit as if he had a range value of 8 and Improved Targeting: Ignores Elevated Terrain, Ignores Hindering Terrain, Ignores Characters.) 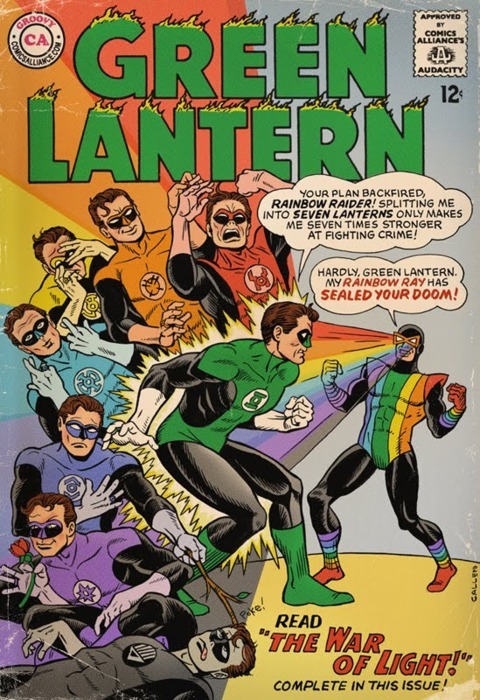 means that Ralph Dibny is going to be a nightmare to deal with if he ends up next to your best attacker. His second click brings a Defense Special that grants him Willpower, Barrier and Combat Reflexes to go with his native 18 Defense value. Good luck hitting that, especially when he’s countering your best power every turn. Now, a 9 Attack value with 2 Damage means he isn’t doing a ton of damage back, but with his power set he could easily tie-up some really good figs who are almost double his points! Besides, improving Attack and Damage values–even in a No Tactics environment–is waaaaay easier than finding someone with his tie-up skills and Special Outwit. It’s a little early yet to know exactly how this massive influx of Speedsters (read: Hypersonic Speed pieces) is going to affect the Meta, but if Speed Demon continues his dominance (or if people start adopting Prime Zoom and others of his ilk en masse) expect to see more and more folks playing Mr. Dibny here as a legit countermeasure. 3. FL016R The Doctor — Common — 50 Points: Whenever a Modern Age figure costs 50 Points even, I perk my ears up a little bit and pay attention. Going all the way back to FFCW006R Scarlet Witch, WizKids has a history of producing some EXTREMELY useful and EXTREMELY under costed pieces at that exact point level. Now, the good Doctor here isn’t Fast Forces Chaos War Scarlet Witch. He isn’t even Fast Forces Deadpool Rookie Mercy. What he is, however, is a great Tertiary Attacker/Supporting Piece. His Attack Value is subpar at just 9, but he comes packing Running Shot (with a 5 Range) and Pen/Psy top dial. He also offers Barrier and Probability Control to complete the package. Four clicks of life at his point value is pretty good, even if the last two are completely useless (Force Blast? Really?). Lastly, his Mystical keyword ensures he’ll fit on a large array of Builds. He’s not overpowered, and Prime Abin Sur from WoL won’t be losing any sleep over his place in the Meta, but The Doctor IS really efficient for his Point level, and is definitely worth a look. 2. FL026 Rainbow Raider — Uncommon — 68 Points: So, you’re probably not gonna go to the Finals at Worlds with this guy, but honestly, if I told you I had a fig that had seven clicks of life, Stealth down his WHOLE DIAL, Improved Movement: Ignores Hindering Terrain, 7 Range and a minimum of 2 Damage his whole dial AND he cost less than 70 Points, you might be interested in playing him just based on that information. But then if I told you that that same character has access to no less than FOURTEEN MORE STANDARD POWERS, your brain would probably explode. Then imagine what would happen when I told you that his Trait (MY FAVORITE COLOR (TO DRAIN) THIS WEEK: Give Rainbow Raider a power action and choose Red, Orange, Yellow, Green, Light Blue, Blue, or Purple. Opposing characters possessing a power of that color on their dial modify their combat values by -1 until he chooses again, if not already modifed by this effect.) allowed you to nerf the combat values of any opposing character you wanted by -1 (and in some cases, more than one opposing character)! For his Point cost, he’s probably got as much going on throughout his dial as any character ever. He’s at his best on clicks 2 and 3, where he can access Energy Explosion and Toughness with an 11 Attack (Click 2) and Pulse Wave with a 10 Attack and Defend with a 17 Defense Value (Click 3). The Raider is kind of a jokey character, but if you think about throwing an Entity like, say, Ophidian on him, he starts to creep into Meta territory, especially with that Trait. 1. FL001B Rival — Common PRIME — 105 Points: He has the Speed Force Trait, and he can ramp up in a hurry, but he’s only an Honorable Mention for me because of what he lacks versus the other top end Speedsters. He just has Charge top dial (he only gets Hypersonic Speed AFTER he gets a Speed Force Token, and that only works on his first four clicks); no Willpower or Indomitable; and he still costs 105 Points AND takes up the Prime slot in your Build. Still, he weakness (Charge) actually becomes an asset on those first few clicks because it means he can still move and attack once he gets a Speed Force Token even if his Attack Special that gives him Hypersonic is Outwitted (he’s the only character in the game that I’m aware of that has the potential for move and attack powers on two different slots simultaneously). 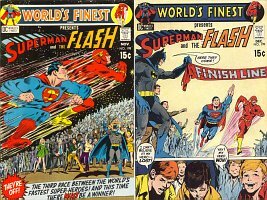 THE TOP TEN ELEVEN TWELVE THIRTEEN FIGURES IN FLASH!! 10. FL048R Apollo — Rare — 125 Points AND FL049R Midnighter — Rare — 100 Points: Same #10 character as Ninwashui, but a different dial. AND THEN I ADDED ANOTHER AWESOME FIGURE ON TOP! Boom! Already I’m winning!! As far as Apollo goes, I like his Rookie version just a little bit better than his Experienced dial for the points. For 75 points less, he still starts with Invincible (just with an 18 value instead of a 19), Running Shot, Precision Strike and Ranged Combat Mastery (with a native Damage Value of 4! ), and he tops it all off with his Improved Targeting: Ignores Hindering Terrain. Basically, Rookie Apollo approaches Primary Attacker combat values but for a price that’s not unheard of for a great Secondary Attacker. But he also brings a lot more to the table. Firstly, his Trait (I SEE WHAT YOU’RE DOING: Telekinesis can’t be used to place opposing characters in squares within Apollo’s range and line of fire.) will do wonders for slowing down Alpha Strikes; doesn’t make them impossible, but such a maneuver will often require even more planning on your opponent’s part–which means his Alpha Strike suddenly becomes a much riskier play. Secondly, yeah, he only has five clicks, but the Defense Special on his last two clicks has the potential to grant him FREE Regen (JUST NEED TO RECHARGE: Apollo can use Toughness. During the beginning of your turn, if Apollo occupies a square of outdoor terrain that is the highest elevation on the map, he can use Regeneration as a free action.). If he’s on click 4, you have 33% chance to get him top dial at the beginning of your turn–for FREE! Did I mention that it’s FREE? 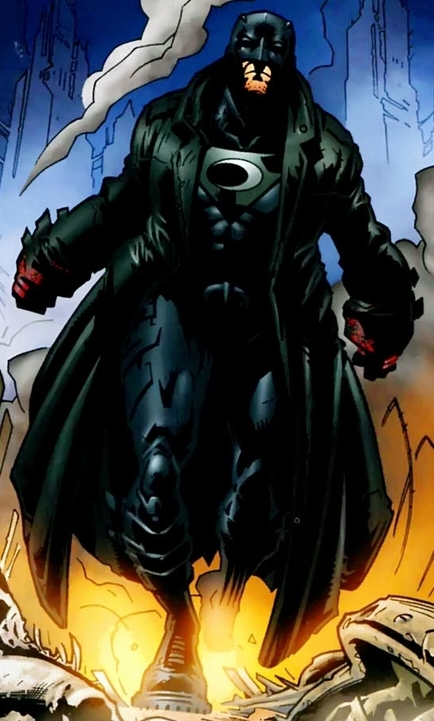 The one caveat is that he really needs to be played on an Authority Themed Team that features Midnighter, as that’s the only way he can gain Willpower. This isn’t much of a handicap, though, since Midnighter himself is just as good–and he also made this list! For 25 less points than his Experienced dial (which merely substitutes Super Senses for the Rookie’s Combat Reflexes–which is a trade you wouldn’t make anyway, given how you’re probably gonna play him), Midnighter’s Rookie dial is clean and efficient–he is a close combat tie-up nightmare, and he’s hard to hit on approach because he’ll usually be equipped with Stealth if he’s on one of his top three clicks thanks to his Movement Special (CYBERNETIC IMPLANTS: Midnighter can use Charge, Flurry and Toughness. When Midnighter doesn’t have 2 action tokens, he can use Stealth.) which also grants him both of the best close combat Movement-slot abilities. He Ignores Hindering Terrain on movement, and he has not one but TWO Traits [(I KNOW WHAT YOU’LL DO: When an opposing character uses Close Combat Expert, they can only use it to modify one value by +1.) AND (WE’VE FOUGHT THIS FIGHT IN MY HEAD ALREADY: When Midnighter targets an opposing character with a close combat attack, until your next turn modify that character’s defense value by -1 and ignore any other modifiers to that character’s value.)] that ensure his triumph even when based with much higher-costed figures. Finally, his Damage Special (GO FOR THE SOFT SPOTS: Midnighter can use Exploit Weakness and Outwit. If he uses Outwit to target an adjacent character, Midnighter can use Plasticity and can’t be ignored for movement purposes.) ensures that his quarry won’t get away, either. The ability to lock down almost any Primary Attacker in the game is well worth 100 Points, methinks. 9. FL030 Thorn — Uncommon — 65 Points: One of the better Secondary Attackers in Modern right now only costs 65 Points! On just her first click, Thorn brings Charge, Flurry, Stealth, B/C/F, Combat Reflexes and Shape Change. You want a better tie-up piece? You just got one! She doesn’t have Willpower, but who cares? Her second click is even better than the first, since her Defense Value actually goes up a notch and her Shape Change goes Special (MULTIPLE PERSONALITIES: Thorn can use Shape Change and succeeds on a result of 4-6. When she does and succeeds, heal her of 1 damage and she can’t be targeted with an attack this turn.). So, 50% of the time, not only will her Shape Change succeed, but NO ONE else can attack her either. The amount of annoyance you can cause by using her to tie-up your opponent’s best ranged attackers is almost endless. 8. FL046 Harley Quinn —Rare — 65 Points: And speaking of 65 Point-ers… Harley has to be the best of the bunch (EDITOR’S NOTE: What is with all the good figures in this set that cost exactly 65 Points? Even Murmur is really good for 65 Points–and he didn’t even make this list! Weird.) from this set at that Point level. She was designed by a World Champion to be a solid supporting piece that could also come through with some damage when needed, and that’s exactly what she turned out to be. Mobility won’t be an issue in most games since she Ignores Hindering Terrain and Characters during movement, and if she has no action tokens she can use Sidestep. 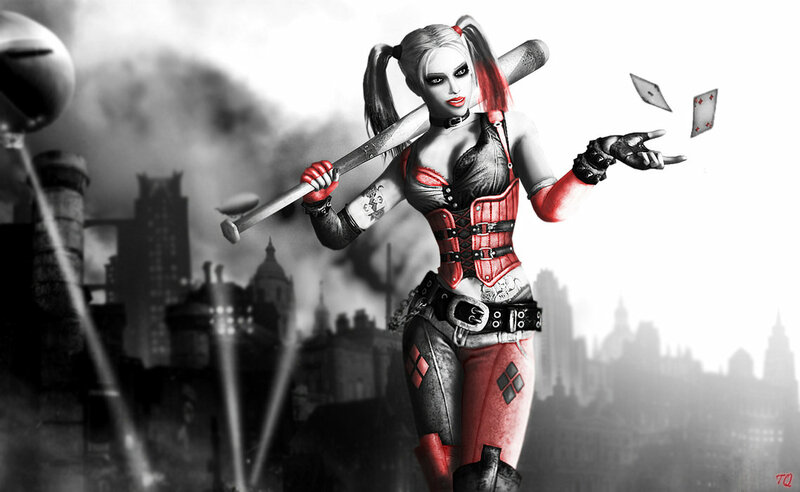 Her support is primarily provided by her Trait (MY PUDDIN’: Once per game, choose a friendly character with a higher point value. The chosen character is Harley Quinn’s Puddin’. 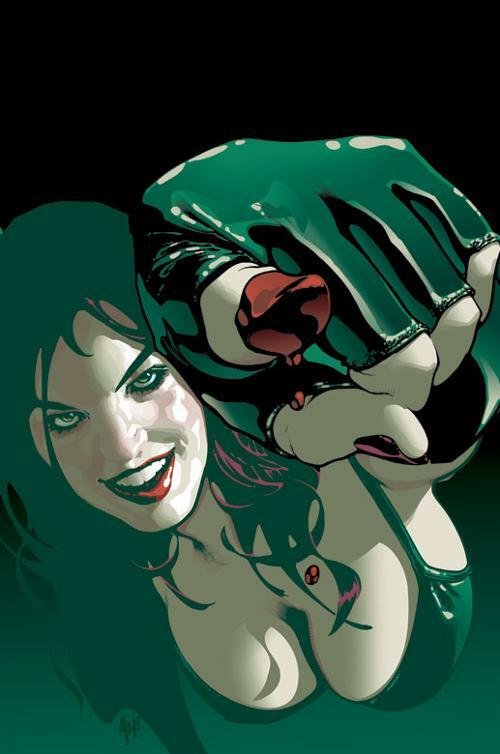 Harely Quinn can use Perplex and Probability Control, but only to target her Puddin’. When her Puddin’ is KO’d, modify all of Harley Quinn’s combat values by +1. ), which is both flavorful AND incredibly useful! She also starts with Stealth in her Movement slot and Outwit in her Damage slot, so she should be quite the enabler for whoever you pair her with. Top dial, she has an Attack Special (NAUGHTY, NAUGHTY: Harley Quinn can use Poison. When she does, if she is adjacent to only one opposing character, the damage dealt is penetrating damage.) that can dish out some Penetrating Poison if you position her correctly, and she rounds out her resume with Combat Reflexes, Super Senses and the Calculator team ability. She’s also very playable at 50 Points, but her top dial at 65 is so good that I had to go that route for my list. 7. FL202 The Flash — Common (Gravity Feed) — 149 Points: The best of the Gravity Feed figs, he’s got the Police team ability, the normal Speed Force Trait, an 11 Attack, 18 Defense Value with Super Senses and Outwit. 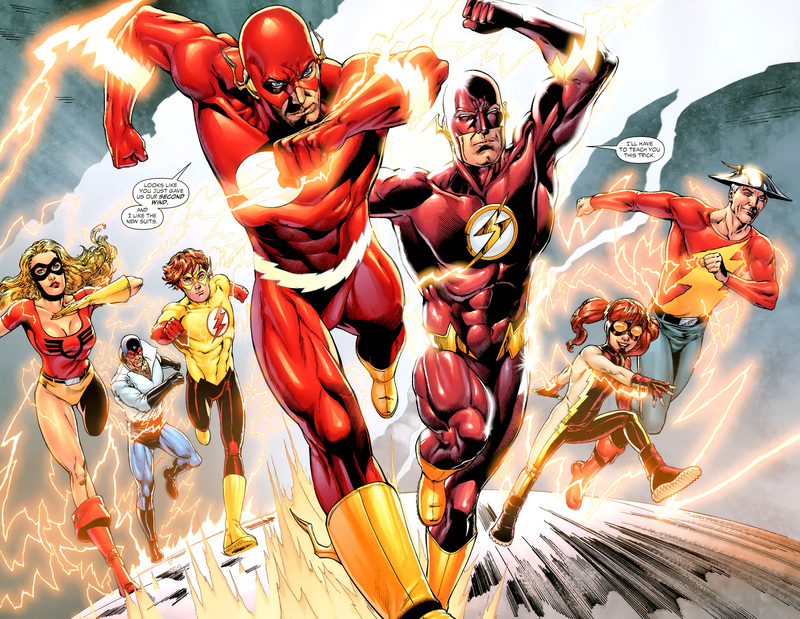 But once he starts building Speed Force Tokens, his Movement Special causes him to become something else entirely (RUNNING LAPS AROUND THE WORLD: The Flash can use Hypersonic Speed. Remove a Speed token from this card and once this turn, The Flash may consider squares on edges of the map to be adjacent to each other for movement purposes, as long as they are in the same row or column.). If you think it’s hard to hit speedsters now, with their ability to hit you and run away, just wait ’til you’re try to hit a guy who can Close Combat you from across the map! He’s pricey, but I like him for 149 Points waaaaaay more than Wally West’s dial, which has the exact same cost. 6. FL031 Turtle — Uncommon — 50 Points: I gotta be honest–for awhile, I thought this guy might finish at #2 or #3 on this list. In a No Tactics, No Entities Format (like the one that’s winding down in the ROC right now) he can be downright DEADLY when combined with Iron Pharaoh (there are a couple other ways to go, but that’s the main Build that strikes fear into people’s hearts!). Zombie Chase Super Skrull and a few other pieces who have/can gain Invincible don’t care as much, because Turtle’s Trait (SLOWNESS AS A WAY OF LIFE: Turtle can use Plasticity. When another character moves at least 5 squares and actions resolve, give them an action token. If you can’t, deal them 1 penetrating damage.) only deals PENETRATING damage if they already have an action token, not UNAVOIDABLE damage. Still, as we talked about before, if you team him with someone like Shaman, you can force all your opponent’s flyers to the ground AND make them move 4 spaces or less a turn (unless they have Sidestep, which is a huge boon against a figure like this). 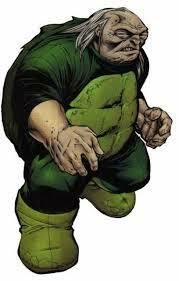 Then, if you win Map Roll and choose Apokolips, Wundagore Mountain or R’yut, forget about it. You’ll be bombing your opponent before his best character can even see you! This piece does what it says on the box: he slows cats dooooooowwwwwwwwwnnnnnnnnnn. With a Trait that good, his Outwit and Quake are just gravy. Definitely useful, but not why you play him. 5. FL038 Captain Cold — Rare — 100 Points AND FL040 Weather Wizard —Rare — 100 Points: I’m grouping of couple of the Rogues together in the five slot because, frankly, I can’t decide which one I like better. But the best part is, you usually won’t HAVE to decide–they share a named keyword and they’re each just 100 Points, so you can play ’em both and still have room for more! The Rogues Leader [EDITOR’S NOTE: Ha! Quasi-Star Wars reference/joke! See what I did there, Ninwashui? 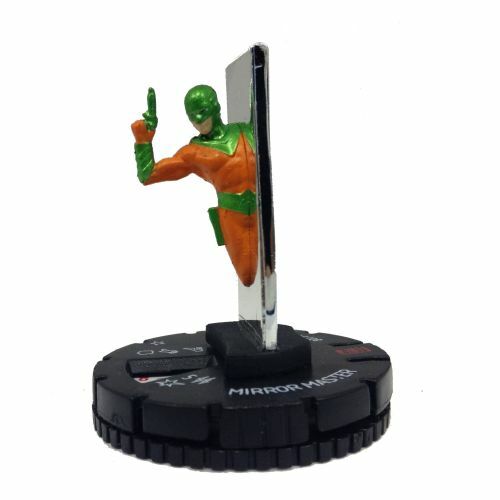 That’s how you make an obtuse sci-fi/fantasy movie reference in a Heroclix blog!!] [NINWASHUI’S RESPONSE: Uh… noted?] comes packing with one of the most annoying Traits for an opponent to have to deal with since Iron Pharaoh’s Golden Falcon, Sharting (FROZEN FIELD: At the beginning of your turn, you may place an Ice Block special terrain marker within range and line of fire. 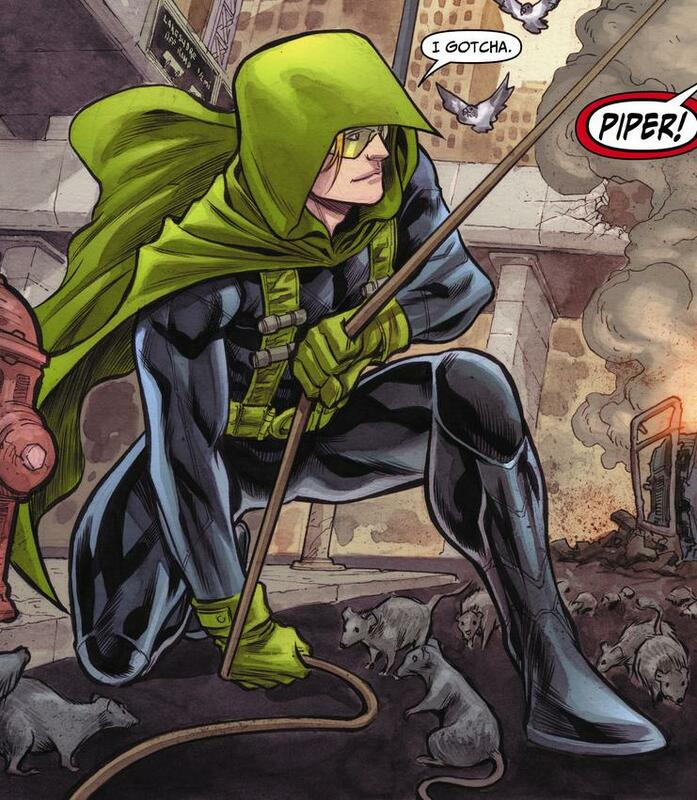 When a character occupying or adjacent to one of these markers attempts to move, it must attempt to break away as if the marker was a character that can use Plasticity and is friendly to Captain Cold.). That’s right, baby, every turn until he’s KO’d, Captain Cold will fill up the map with those things. This is an insanely good power, and the fact that you get to do for free every turn is just stupid and wrong. You want board control? He is the CAPTAIN of board control. He also brings some Running Shot, Toughness, Rogues-keyword-based Special Leadership and the Calculator team ability to the table, along with an Attack special (ABSOLUTE ZERO: Captain Cold can use Precision Strike. When he hits with an attack, you may place an Ice Block terrain marker in that square.) that grants Precision Strike and the ability to drop more Ice bombs when he hits! Weather Wizard is almost like “A Tale of Two Dials.” On his first three clicks, he offers a 7 Range with two Bolts, Running Shot, a 17 Defense Value with Energy Shield/Deflection and a native 3 Damage with Perplex! Plus, one of the coolest Special Attack Powers in the game (POWERS LIKE THE SEASONS: At the beginning of you turn, roll a d6 that can’t be rerolled. Weather Wizard can use the power indicated by the result on the back of this card. 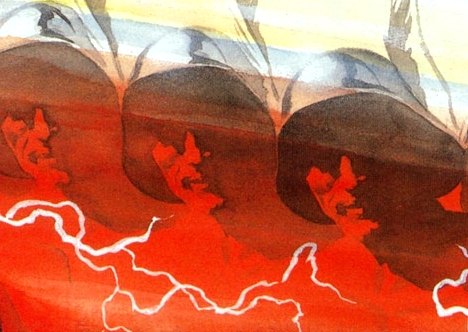 1 – Spring Storms: When Weather Wizard makes a ranged combat attack, it generates knock back and if the target occupies outdoor terrain, damage dealt is increased by the target’s elevation level. 2 – Summer Lightning: Weather Wizard can use Improved Targeting: Ignores Elevated Terrain, Ignores Hindering Terrain, Ignores Outdoor Blocking Terrain, Ignores Characters. 3 – Autumn Winds: Weather Wizard can use Quake as if he occupied a single square of outdoor terrain within range. Characters with “standard damage symbol” or “tiny damage symbol” can’t ignore knock back during this attack. 4 – Winter Chill: Weather Wizard can use Smoke Cloud. When he does, after actions resolve, he can use Incapacitate as a free action, targeting all opposing characters occupying one or more of these markers with a close combat attack. 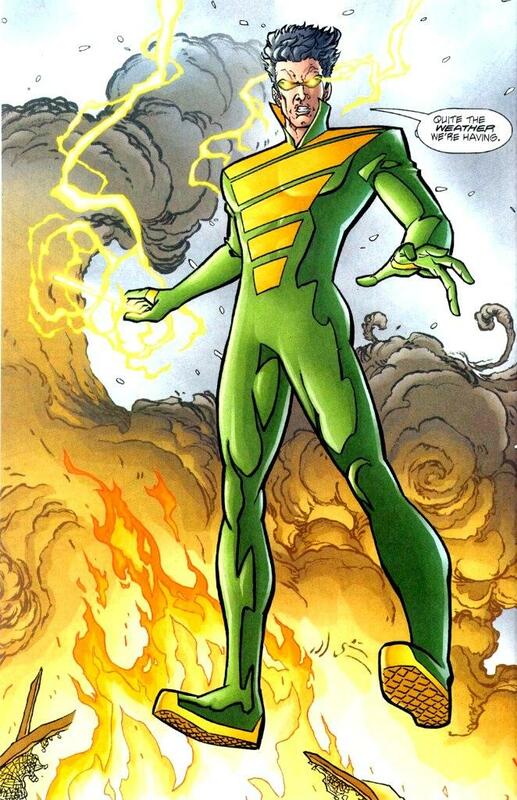 5-6 – Weather Wizard may choose any single result.). Sooooo… y’know how people have been playing Bill, Agent of A.I.M. or using Zombie Chase Electro JUST to set up situations where they can attack opposing figures within Range no matter what Terrain lies between them? Yeah, Weather Wizard has a 50% each turn of being able to do that on his own. For free. On a d6 roll of 2, 5 or 6, you get his Summer Lightning power. Plus it combos with Running Shot, which means you can actually run Weather Wizard out of harm’s way and STILL make a ranged attack. This is beyond awesome. The back half of Weather Wizard’s dial is a bucket of poo-poo with no top on it. He becomes almost worthless (until you get to his last click, where there’s no almost about it–he is worthless). Taken together, this duo will really present board control issues for your opponent. 4. 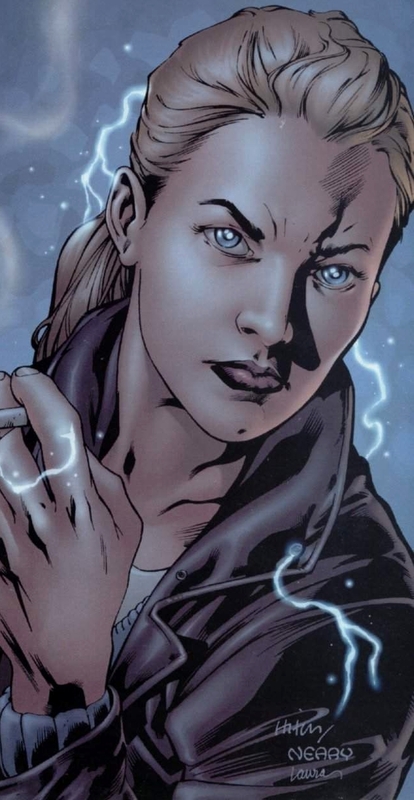 FL061 Jenny Sparks — Super Rare — 125 Points: Running Shot/Pulse Wave PLUS her Trait (ELECTRICAL CORTEX SHORT CIRCUIT: When Jenny Sparks hits an opposing character, that character can’t use special powers from now until your next turn.) = A LONG DAY for your opponent. She has above-average t0 great native combat values plus a dial that’s a robust 8 clicks long. The only things that keep her from being even higher on this list are a lack of Indomitable (she eventually gets a couple of clicks of Willpower down dial though) and no Improved Movement or Flight (hmmm… I wonder if there’s a Resource that grants the flight of the Phoenix… ). I don’t think she’ll dominate the Meta, but I would not be surprised to see her show up quite often on some Top 8 ROC rosters (particularly since she’s an absolute Kyle Rayner assassin). And for some special fun (and a great taxi), try teaming her up on a Scientist Theme with Prime Captain Marvel from GoTG. You’ll thank me later. 3. FL064 The Question — Chase — 100 Points AND FL062 Pandora — Chase — 125 Points: Two great flavors that taste great together! Ninwashui had The Question as his number one piece in the whole set, which was clearly wrongheaded and stupid [NINWASHUI’S RESPONSE: Hey! I’m right here!]. Still, The Question is a damn good piece. Top dial he features Charge, Improved Movement: Ignores Hindering Terrain, Shape Change, Stealth, Poison AND Precision Strike (and after using them, he can use Smoke Cloud for free), Indomitable, Super Senses (with a native 18 Defense), a special version of the Wild Card team ability and Outwit. And if he successfully Outwits an opposing character, he gets to take off an action token, which means you’ll essentially be using this guy every turn. And did I mention he only costs 100 Points? The last Question we got was a con-exclusive that still features on a lot of Meta squads to this day. This Question is better. Sort of the Ranged version of the Question. Pandora buffs her Range and Bolt number by the number of teammates she has with the Warrior or Trinity of Sin keyword. She has Sidestep, 6 Range, the Sharpshooter ability, Precision Strike, Indomitable, Super Senses, the Mystics team ability and Perplex. If she uses her Perplex to target an opposing figure, she too can remove an action token, so she, too, will probably be acting every turn. Especially since her Improved Targeting allows her to see through both Hindering AND other characters. Great on their own, these two only get better when played together! 2. FL053B Zoom (Black Lantern) — Super Rare Prime —120 Points: In a set of speedsters, you’re looking at the one piece that’s arguably as good as DP053A Speed Demon. 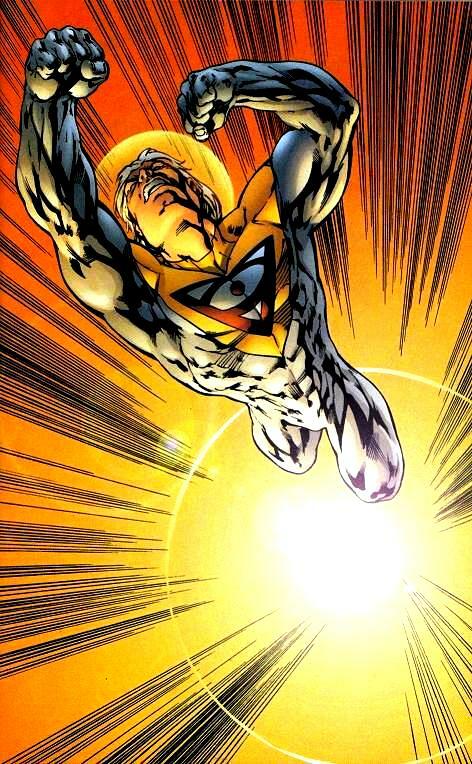 Zoom offers the Speed Force Trait, Indomitable (rare on speedsters), Hypersonic Speed, an 11 Attack (also rare on speedsters), Super Senses and a native 3 Damage. Additionally, his Attack Special (A NEW BLACK FLASH: Remove a Speed token from this card and choose either Exploit Weakness or Flurry. If you do, Zoom can use Blades/Claws/Fangs and the chosen power as a free action instead of making a close combat attack while using Hypersonic Speed this turn.) has the capability of just RUINING opposing strategies. Need to take out a key support piece? Remove a Speed Token, choose Flurry and go to town for a possible six Damage–and then put another Speed Token on his card for hitting a character. And on and on. 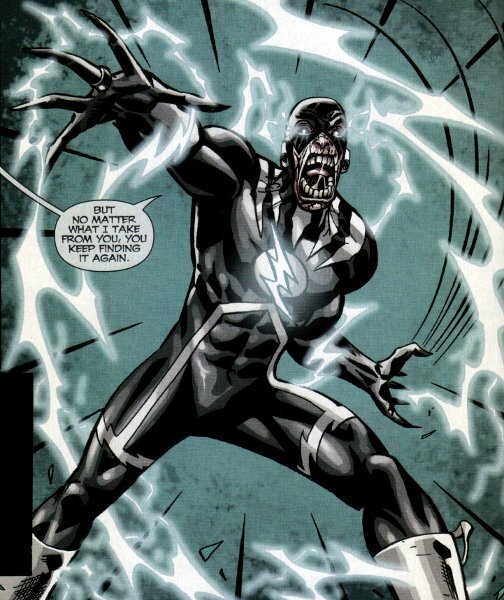 Unlike almost all speedsters not named Speed Demon, Zoom here actually gets better as he takes damage, picking up Steal Energy, Special Regeneration and Toughness. Yes, he costs you your Prime Slot, but you weren’t gonna use that anyway if you’re playing a Black Lantern Themed Team. Zoom is a monster in a sub-150 Point body. Be very wary if you’re ever lined up against him. 1. FL050 The Flash (Kingdom Come) — Super Rare — 195 Points: Criminally underrated by Ninwashui [NINWASHUI’S NOTE: Hey! I had him at # 8!! ], this version of the Flash is the best Primary Attacker in the set. He has the normal Speed Force Trait (which, when fully active, punches his top dial Movement Value up to 20), the Kingdom Come team ability, ANOTHER TRAIT (HE NEVER GETS TIRED, HE NEVER STOPS MOVING: The Flash’s speed powers can’t be countered.) that ensures he’ll always be able to move and attack no matter how much Outwit your opponent is packing, Indomitable, a Hypersonic Speed Special that almost breaks Hypersonic Speed (PATROLLING BOTH CITIES AT ONCE: The Flash can use Hypersonic Speed. When he does, you may remove a Speed token from this card and he may then make a second close combat attack or use Outwit as a free action during this move and then continue his movement. ), Super Senses (in case someone somehow hits his native 19 Defense Value) and Probability Control (in case someone somehow hits his native 19 Defense Value and you screw up your Super Senses roll). Down dial (assuming your opponent ever gets The Flash down dial), he picks up normal Hypersonic Speed, Exploit Weakness, an Attack Special (WHO WOULD DARE BE A CRIMINAL IN THIS CITY? : Up to three times per turn, give The Flash a free action and remove a Speed token from this card. When you do, lock his damage value at its current value until the end of the turn and give him a close combat action as a free action.) that can absolutely pulverize even the heartiest of figures in one turn, and a Defense Special (HE’S JUST A BLUR: The Flash can use Super Senses, but succeeds on a roll of 3-6. This roll can’t be rerolled.) that makes him even tougher to damage. 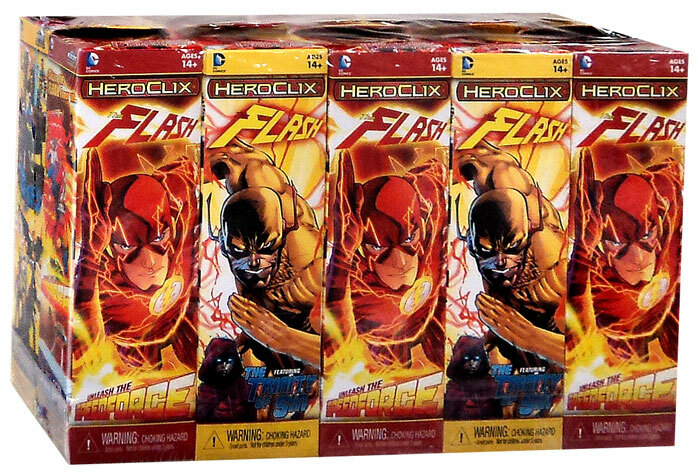 Now add the Yellow Power Battery to your force (including the Yellow Decoy) and Possess The Flash with Parallax. Suddenly, after you give him the Decoy to start the game, The Flash has 18 Movement, Indomitable, 12 Attack, 20 Defense with Super Senses and (assuming you choose to up his Damage with Parallax) 4 Damage with Probability Control. Then you can either choose Stealth or the ability to gain the Quintessence team ability plus a Special Perplex (that only Perplexes values down). Then, assuming your opponents figures all cost 194 or less, they’ll have a -2 to each of their attack rolls against the Flash. 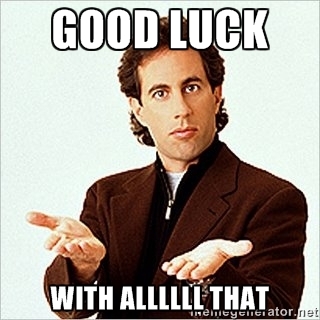 And Jerry Seinfeld is always right!! HE’S THE BEST FIGURE IN THE FLASH SET! !